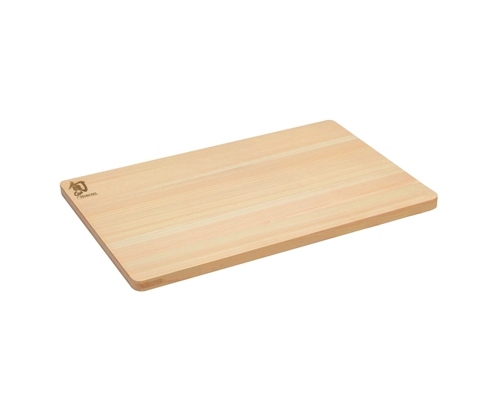 This medium sized cutting board from Shun is made of Japanese Hinoki, which is known for its beauty, fragrance, and longevity under the wettest conditions. Hinoki is the traditional wood of choice for building Japanese palaces, temples, shrines, and, due to its water resistance, baths. 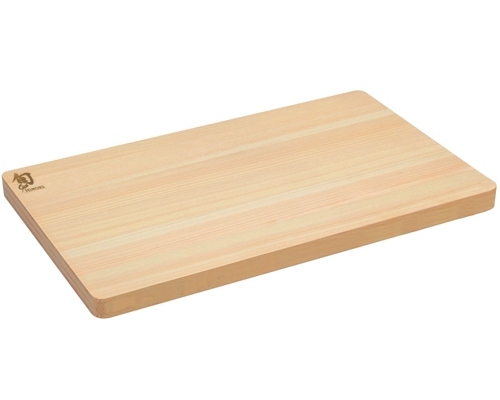 The light-colored wood features a rich, straight grain and a pleasant lemon scent. In addition to its beauty and aroma, Hinoki has an extremely tight and straight grain structure that creates the perfect cutting surface for the sharpest knives, helping to preserve their fine delicate edges. The medium soft wood combined with the straight grain structure, creates a self healing property in the board that helps to hide scratches and preserve the board's natural beauty.